It’s refreshing to find people who are excited and open to the ideas that we present as part of our dissection classes. 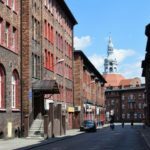 The Medical School of Katowice have welcomed us with open arms for the last two years and I am delighted to have found a such a welcome. 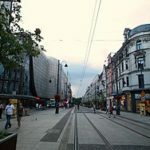 Katowice isn’t far from Krakow and doesn’t have even close to the tourist reputation of it’s more famous cousin. 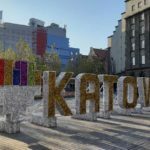 However Katowice is a big university city and where there are students there is always a great buzz, cheap food, lively bars, reasonably priced accommodation and a good transport network. 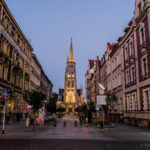 The class is taught in English with Polish translation and I undertake the embalming and preparation of the cadavers personally, so we have a top quality experience. We will have three full cadavers for each class and work through the layers, discussing our findings at each stage. As always, you are encouraged to bring personal projects and ask lots of questions. I will be ably assisted by Dr Nick Marcer, an astoundingly knowledgable teacher and osteopathic practitioner from Switzerland with a special insight into the nervous system. Our workshop location is out of the city, but the wide bus tram and public bike hire network, make getting around very easy and incredibly cheap. Uber also have plenty of drivers there, so make sure you download the app before you go. Surprisingly there is a lack of hotels close to the hospital, so my preferred place is near a huge and very beautiful park near to the city centre. It’s a short taxi ride each morning to get in to the medical school and there are two reasonable hotels there. Zajazd Sport Hotel http://www.sts-zajazd.pl is very cheap and a bit dated, but it’s clean, easy to find and perfectly acceptable if you’re on a budge. Just down the road is the Park Hotel Diamente, which is very comfortable, modern and has a gym. Rooms start here at around £40 a night. It’s a ten minute walk in to the centre of the city from either of these places and there is lots to do when you get there. Bars, restaurants and quite a thriving night life await, if you have the energy after a day in the lab. I’m excited to be supported by an establishment with such insight and foresight as this university and I hope you will join me. Please email me [email protected] with any questions.